The biggest problem about repainting indicators is that most people do not even know they exist. And once they learn about them they usually underestimate what damage they can do. In this article I am going to explain why repainting indicators exist, how they often are used to scam Forex traders and how not all of the repainting indicators are actually bad. Scammers like to sell such indicators, because once you load them on the currency chart they will show you best entries that happened in the past. But will they give you good entries in real time in the future? That’s where usually things get messy with such indicators. Believe me, there is no indicator that will give you perfect entries all the time. Actually I was so mad the other day about all the Forex scams I see online that I even wrote an eBook about it (free download here). Now before we get to see some examples of repainting indicators I would like to say something important. First, I want you to understand that not all indicators are repainting and those that are repainting may be built just for that. So firstly it is important to know the purpose of the indicator, then learn if it is repainting or not and only then do the judgment. A good example here is a ZigZag indicator. 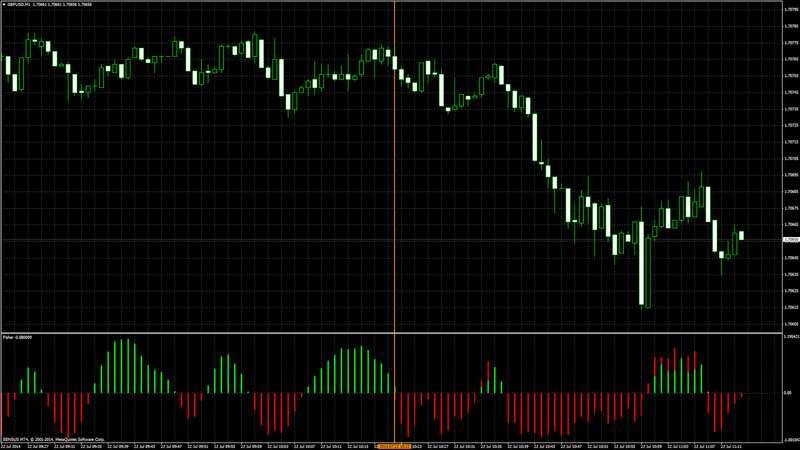 If you ever tried it on your MT4 charts you probably saw it for yourself that this one repaints like hell. But in fact, it was built to do that. ZigZag indicator shows us highs and lows, recent price swings, helps us to identify price waves, so when a currency pair makes a new high or a new low it is obvious that ZigZag indicator lines should be adjusted to that. This is also known as repainting, but everything is fine in this situation. If ZigZag shows recent high is at 1.22345 does it mean that the market cannot go any further and break this price level? :-) Sounds funny, I know, so obviously indicator does not stop price from going above that level. Prices do not move in the direction of indicators. It’s the indicator that should adopt to the price. 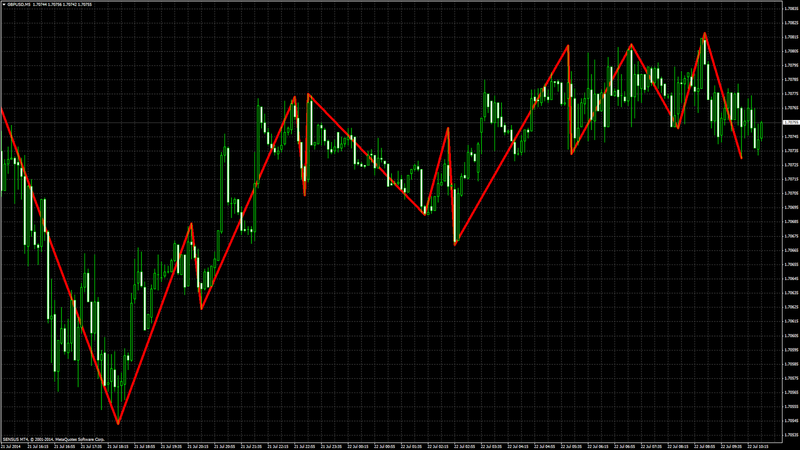 Below is the ZigZag indicator on the GBPUSD M5 chart. You can see many waves here. Now here’s the same chart several minutes later. 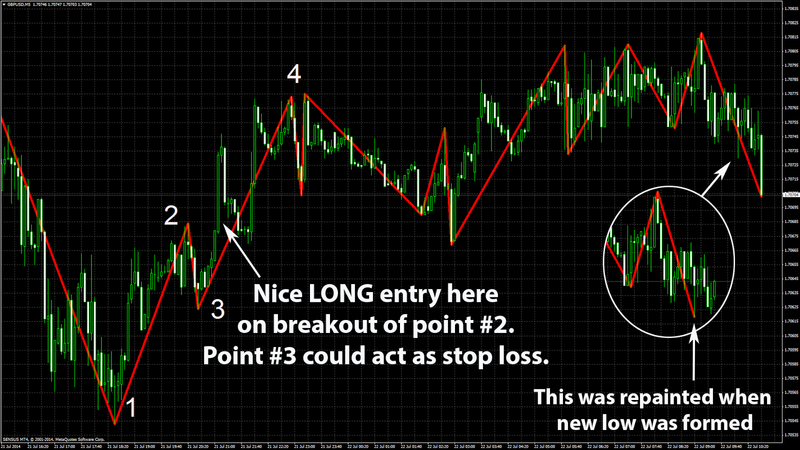 That first move up has quite a nice wave formation and gave us great entry. And those at the end shows that the price is going sideways at the moment with no clear trend. Also we see how last low was repainted because price went down. So ideally we would wait for similar 1-2-3 wave formation if price retrace up a bit and then continues to move down again to form the 4th point. It could become a potential SHORT entry. Oh yes, I already see how I can set my Candle Range Trader or Stealth EA trading tools to enter such trade automatically for me even when I sleep. It’s always best to enter the market in the direction of a trend and when you see a clear trend you should enter on a pullback or breakout in the original trend direction after pullback. Anyway, even though ZigZag is repainting, it was built to do that and if you use it correctly you have no problem with it repainting. Next important thing to understand is that nearly all of the indicators repaint on the currently forming price bar/candle. This means that when a price bar is forming and not closed yet all indicators might and will change during its formation. So that is why it is considered best practice to enter the market only after the current price bar is closed and indicator value is set for life. However, this is where things can go wrong with ‘bad repainting indicators’. But before I show you some bad repainting examples let me explain how you can end up in trouble if you open a trade when the price bar is not closed yet. Best example I could think of now is a simple entry rule when price cross the Moving Average line. Important to know that price can cross the MA line several times during price candle formation and then even get back and close where it started. See the example below. In the picture above you can see how price touched the EMA line, crossed it from below to above, but before this price bar was closed the price moved down again and actually closed below the EMA line. 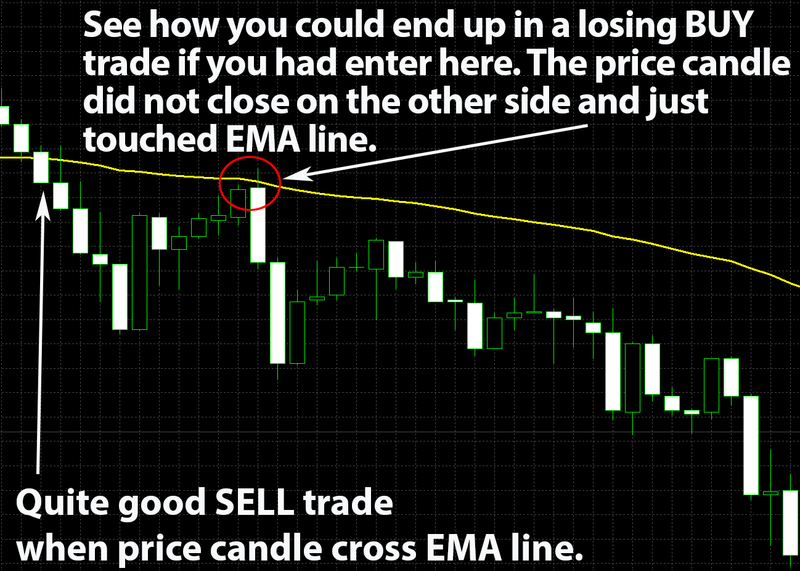 So if you had opened a BUY trade on that price and EMA line cross you would have ended in a losing trade. This is why it is best practice to wait and see if the price candle still gives you entry signal after it has closed. Good and reliable indicators does not change their value once the candle is closed. Now lets take a look at a few examples of bad repainting indicators. I did not spent a month to research and list all repainting indicators for you there, but I will rather teach you how to know if indicator repaints. You know that saying about the man and the fish, right? I am not giving you a fish, I am teaching you how to catch a fish. See this chart example below with the Fisher indicator attached on a GBPUSD 1 minute chart. You can see this chart is split into two parts. That vertical line indicates the time when I attached the Fisher indicator to the chart. So all bars on the right side were created in real time and all those on the left were created on the launch of the indicator. Now I will attach the same indicator with exactly the same default settings to the same chart so you could see the difference. You can see all those different entry points. Now I did not read an instruction manual of this particular indicator and maybe it is used in some other way, but if you were to go SHORT when it turned red and goes below zero you can see that in real time (indicator at the top) gives you entries much later than the one at the bottom. So when you attach indicator on the chart and look at the previous bars, chart history bars, you will always see those great entry points. But in reality you won’t get them. If you restart MT4, change timeframe of that chart or remove and re-attach that indicator you will get the view that bottom indicator has and won’t see that the indicator repaints. 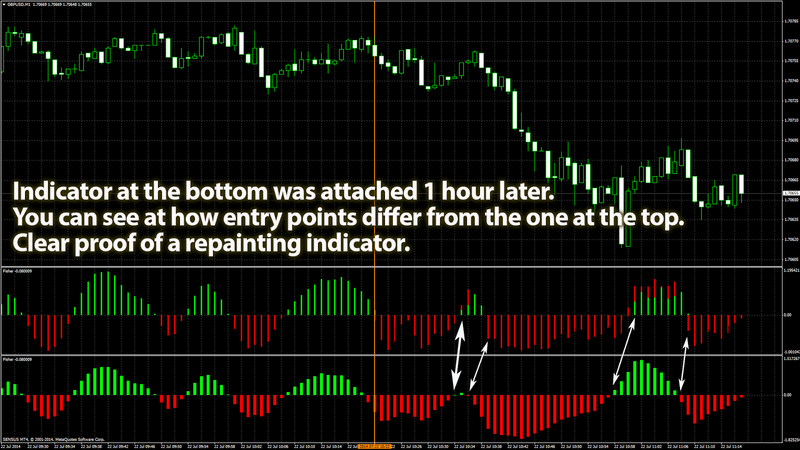 But if you do this one trick that I showed you, then you will easily see if indicator repaints. So to recap. Attach indicator on a chart, wait for at least 30 price bars to form and then attach 2nd instance of the same indicator on the same chart. Make sure you do not touch the 1st instance of the indicator and do not change anything on the chart that would make the indicator to restart and redraw everything. Then compare indicator values between those 2 instances for any differences. If indicator repaints and the seller did not mentioned that I would not use it and ask for a refund. Actually even if the seller mentions that the indicator repaints I would not use it anyway. Well, actually I have an idea how to use repainting indicator and just started doing this couple weeks ago with quite good results. I started trading about 10 pairs using a repainting indicator and then with the help of my Local Trade Copier application I reverse those trades to another account. So obviously I had lots of losing trades because of false entry signals given by that repainting indicator and all those losing trades reversed on another account were winners. I am still testing this and it is more difficult to do this than it sounds, but it’s something that might work quite well if you learn how to do this properly. Here are the results on Myfxbook of that “reversed” account. I have been doing this for 6+ weeks now. I am still testing this and do not want to give you any false promises, but for me it looks like a great opportunity. There are hundreds of repainting indicators and sadly many of them are for sale. What people do not realize is that this can even be possible and usually learn it the hard way. People end up paying someone for an indicator that shows all these wonderful entry points on a history price chart, but face it, anyone is a super Forex hero when it comes to analysing something that already happened. Anyone can draw perfect cherry picked trade entries based only on a history price chart. So don’t fall for all these super-secret indicators. If some super-secret indicator were stolen from some bank it would not end up for sale on the Internet for $49. Someone would end up in jail for such robbery. Rimantas Petrauskas is the author, a Forex trader, programmer and the founder of ea-coder.com Forex blog. He also created two of the most popular trade copiers and other trading tools for MT4 that are already used worldwide by hundreds of currency traders.